The re-launch of Walter Dean Myers's series about a middle-school crew of newspaper reporters keeps going strong! Zander and his friends are in trouble—again. The freedom of expression they've enjoyed by publishing their own school newspaper has spread all the way to England, where kids from a school "across the pond" are now contributors to their own school's most talked-about publication. When photos start to go alongside the articles written by kids, things get suspicious. Zander, Kambui, LaShonda, Bobbi—and a bunch of students from Harlem's DaVinci Academy and London's Phoenix School—come to learn that words and pictures in a newspaper don't always tell the whole story. 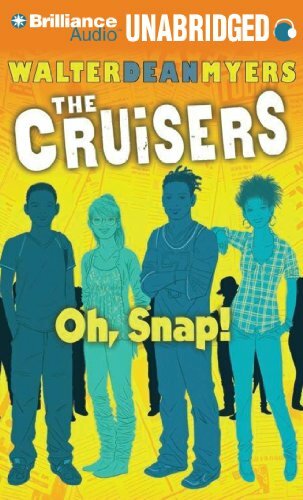 With his signature on-point pacing and super-smart characters, award-winning author Walter Dean Myers's acclaimed series delivers another awesome audiobook about a group of middle-school misfits who are becoming the coolest kids in the city. View More In Multicultural Stories. If you have any questions about this product by Brand: Brilliance Audio on CD Unabridged Lib Ed, contact us by completing and submitting the form below. If you are looking for a specif part number, please include it with your message.